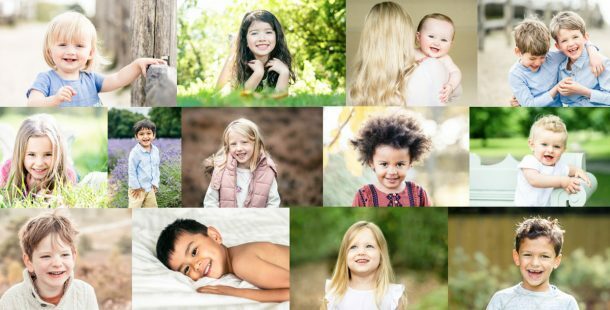 How many photos have you taken of your children over the past year? Hundreds if not thousands I expect. I’m writing this blog post for you mums. Especially to you new mums. The first year after having a baby is the time when mums are most scared about having their photo taken. I get it…. you’re a couple of stone overweight, you have bags under your eyes that even a gallon of Touche Éclat can’t hide, and you haven’t washed your hair in days. So you’re not exactly feeling photo-ready! So instead we take thousands of photos of our new bundle of joy, thinking we’ll get in the photos when we look like normal again. Well I hate to say it, but what if you never get back into your pre-baby skinny jeans? Does that mean you’ll never have a photo taken with your child? I want to share a little story with you. 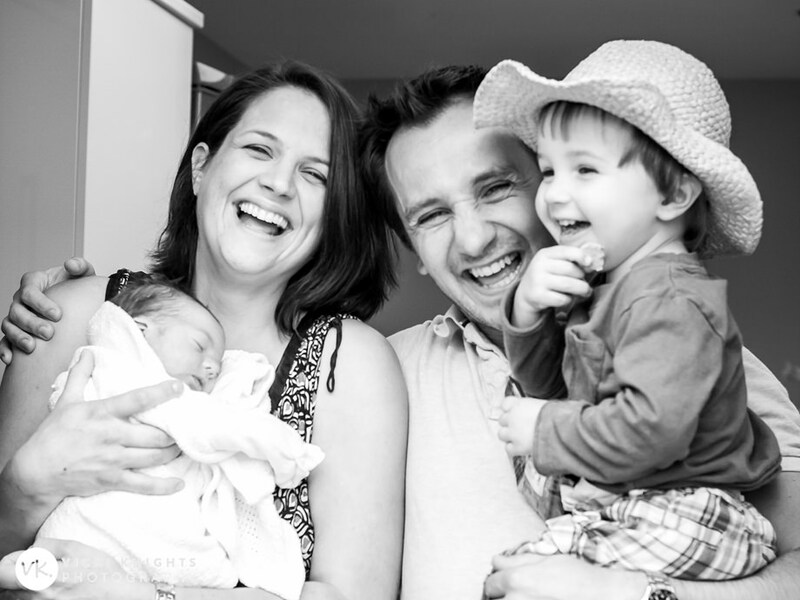 Within the hour of having my first baby, we were in the recovery room after the C-section and someone we knew and happened to bump into offered to take ‘our first family photo’. I hated it. My face was bloated beyond recognition, I was lying on my back in a blue hospital gown trying to lift my head up (cue 5 double chins) and I looked exhausted after spending 50 hours in hospital. It wasn’t exactly the first family photo I had in mind! I’m not sure if I deleted it or not, but it certainly never made it into our family album. Hopefully it is sitting on a hard drive somewhere as although I hated it then, I’m sure I could look at it through different eyes now. So although that was one of the happiest moments of my life, I couldn’t see past my bloated face to see the beauty in the photo. And seeing my tired bloated face on the screen put me off having photos taken for some time. I think the next one of me was when my baby was around 5 months old. 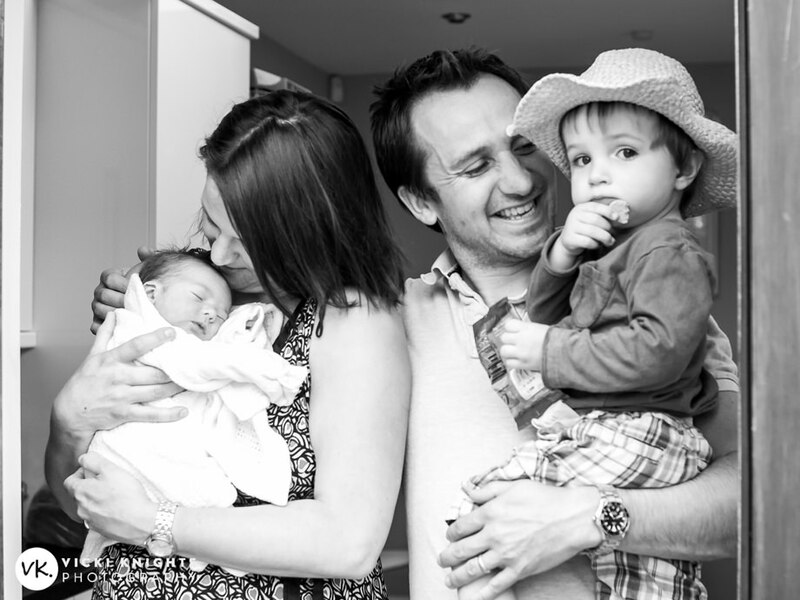 Then when I had my 2nd son, I was determined to get a photo of the 4 of us when we were first got home together. One that I would be proud to share. So my mum took this photo of us. What do you see when you look at this photo? Probably a very happy family who are delighted to be have their 2nd son home with them safe and sound. But all I saw when I looked at this photo was my double chin! I wanted to delete it immediately but my mum thankfully told me not to as she loved it. So then I asked her to take another photo and I made sure I looked away from the camera this time. This was the result…. THIS was the photo that I shared on Facebook and made it into our family album. It was only when I was going through photos on my hard drive a couple of years later that I discovered the first one again. And I loved it. Ok so I’m still not keen on me in it, but suddenly I could see what other people saw….a tired but very happy mum. A mum who shouldn’t care about whether she’s a couple of stone heavier than normal, or has a double chin. Because it really doesn’t matter. And my boys really won’t care when they look at this photo in 30 years time. They’ll just be happy to have a photo at this very special time with their mum and dad looking so happy. I realised that I had put my own vanity first. The photo that I chose to share was the one where I wasn’t where buy amoxicillin showing my face, but my eldest looked pretty miserable! I remember someone saying on Facebook, “big brother doesn’t look too happy with the new addition!” Yet if only I had used the other photo they’d have seen he was delighted with his new little play-thing! 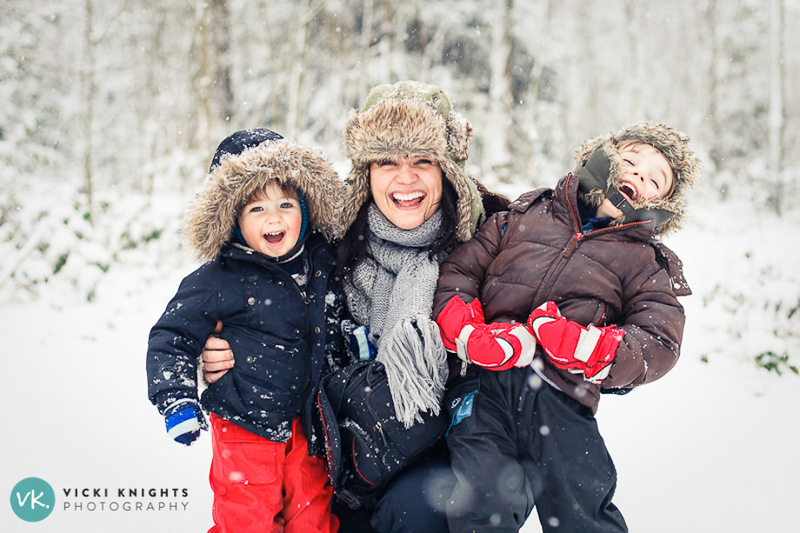 I was inspired by this great article I read on Huffington Post, The Mom stays in the picture. That changed my whole attitude about getting in the photos with my boys. Now I invest in professional photos of our family every couple of years (yes even professional family photographers have to pay for photos of their family if they want to be in them too!) And if someone offers to take a photo of us then I don’t hesitate to pass the camera over. And I regularly use my husband as a human tripod too! Looking through my photos makes me realise so many of them are just smiley ones looking at the camera. These are lovely but I think it’s just as important to have natural photos of you interacting, which are never as easy to capture when you just hand your camera over to someone. I think it’s time for us to book another professional shoot! And even if you don’t have anyone there to take a photo of you, if you have a smart phone there really is no excuse! Just turn the camera round and snap away, or if you want to get your whole family in just get one of the many self-timer apps. (I sometimes use TimerCamera) Here are some when we’ve been out and about having fun and I’ve quickly captured the moment on my iPhone. 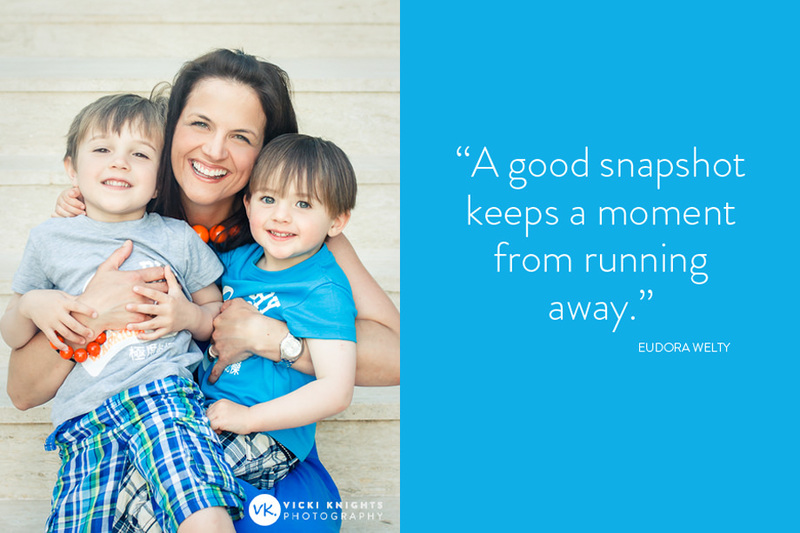 So please embrace the camera and get in the photos with your babies and little ones. Your grown-up child will never say ‘I love this photo of our family but I wish Mum had waited until she’d lost the baby weight’. You’ll be grateful you got in the photos in the future, I promise! And once you’ve got all of these lovely photos, please make sure you print them! I wrote a blog post about this here, it’s something I feel very passionately about. Our technology nowadays certainly makes it much easier for us to take more photos, but it doesn’t assist in their long-time survival. Think about your great-great-grandchildren in the year 2100. They may all be darting about on hoverboards but they probably won’t even know what a CD is, your external hard drive that’s been sat in a loft for decades has failed and probably Facebook ‘that thing our great grandparents were into’. And even if they can access your photos, do you really think they will want to sift through thousands and thousands of images including blinks and blurred shots? It’s unlikely. So please give your great-great grandchildren a huge gift and spend a day organising, editing and PRINTING your photos. I love Blurb digital albums and make an album of all my family photos each year. It’s a big job but so worthwhile to know that our family memories will be passed down through the generations. I hope this has inspired you to get in the photos with your children and also to get them printed! 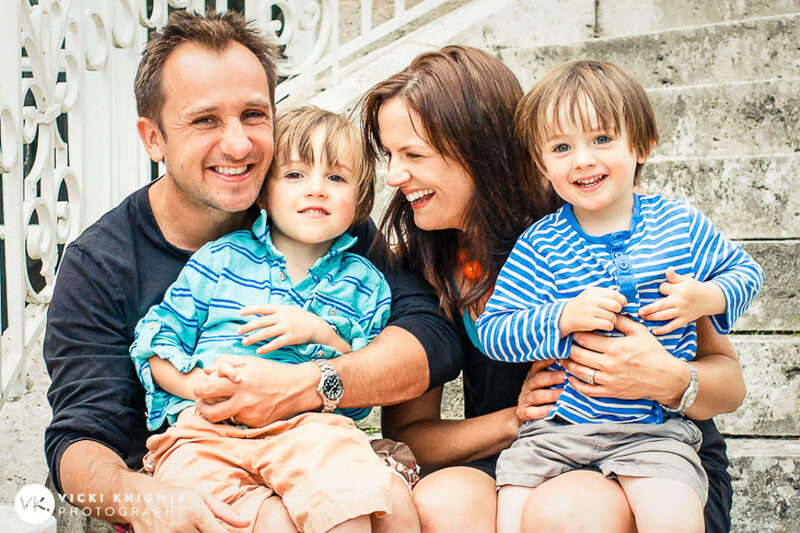 If you would like me to take some gorgeous photos of you with your family, then take a look at my Surrey family photographer website, and make sure you sign up to my mailing list where it says ‘exclusive updates’ so you are the first to hear about my seasonal mini sessions in Surrey.